1. Core Practical: Investigating the change in pH. 2. 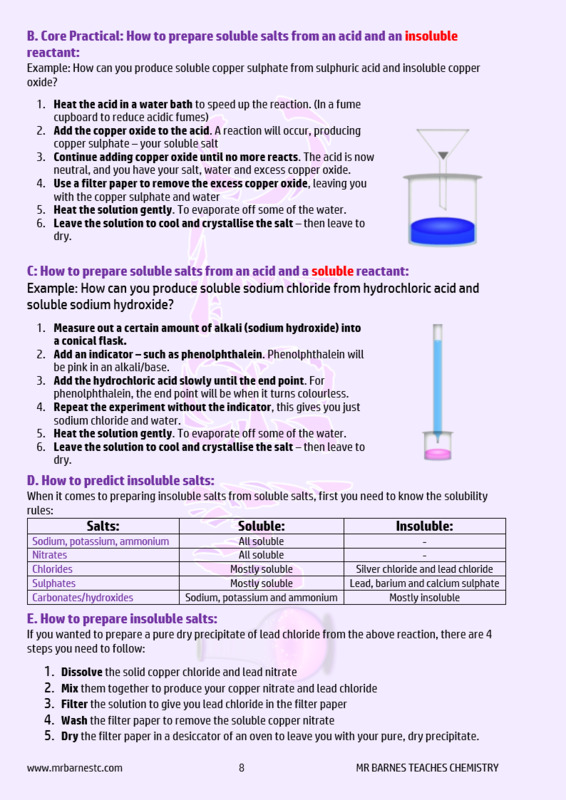 Preparing soluble salts from a soluble reactant. 3. Core Practical: Preparing Copper Sulphate. 4. 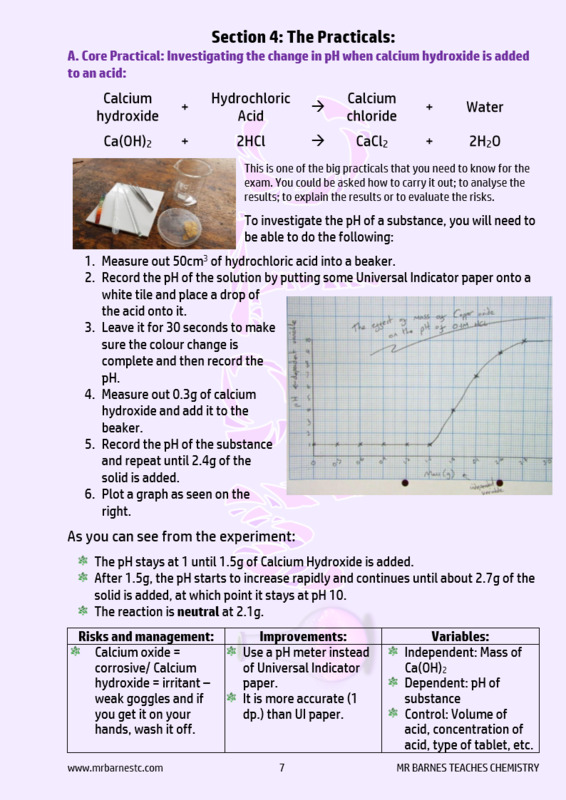 Preparing a soluble salt from a titration. 7. How to prepare a pure, dry, precipitate.